The Sonnet a Day Challenge comes to an end with #14: Seamus Heaney's 'Clearances'steemCreated with Sketch. 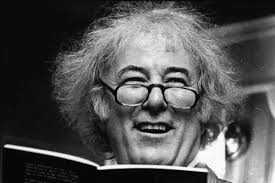 Our fourteen days of sonnets comes to an end with Kavanagh’s great disciple and successor, Seamus Heaney. 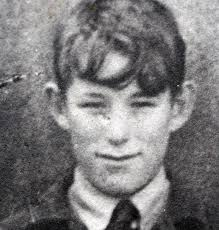 A lover and master of the form, Heaney produced a number of sonnet sequences at key points in his career. Today’s comes from the sequence ‘Clearances’, from his mid-career collection The Haw Lantern. The sonnets explore the poet’s relationship with his beloved mother and, through the maternal figure, with his rural Irish childhood and its impact on his own character. It’s part of Heaney’s control that the strain and contrapposto of the great Elizabethan sonnets has been stripped away. We’re not wrestling here: there are two well-defined ideas/images, the spud-peeling and deathbed scenes, and the closing couplet links them together. Many of the ‘Clearances’ poems are moments frozen in time, still lives – Heaney is a very painterly poet, frequently referencing Breughel and Vermeer. It’s worth spending a moment looking at the rhyme scheme. The octet is in couplets, half-rhymed or part-rhymed or slant-rhymed. The octet reverts to a much more traditional abba cc. The only true rhymes in the poem are ‘dying’/’crying’ and ‘knives’/’lives’, both pairings holding mortality and the mundane in balance. And it’s worth listening to the background noise of man’s work, the soldering and the ‘hammer and tongs’ beyond the fluency of the scullery task. I hope you've enjoyed this project, and - more importantly - enjoyed the poems and gone on to read more of their work. There's still time to revisit the posts, obviously: start with Shakespeare here, perhaps, or with the great John Donne here. And I'd appreciate any upvotes and resteems you can afford. And it's been great to start a few conversations in the comments section, so please - let me know what the poems have meant to you! I enjoyed this to the very end. Your analysis was amazing as was your dedication to your goals. I am glad you brought us these poems. This last and your information was my favorite. Thank you very much. I have a new challenge for you :) I nominated you for the black and white photo challenge! Good luck.